THE FINAL PRODUCT IS FINALLY HERE! After 11 years of “training” I can now officially say, “I have successfully made my first legitimate comic book from start to finish” (With the help of my mentors of course). Thank you to everyone who made this project possible, I am more than grateful to create the artwork on Adobe Photoshop with very little training and still be able to make such a masterpiece that I can use for my “Senior Project” portfolio & any future portfolios. 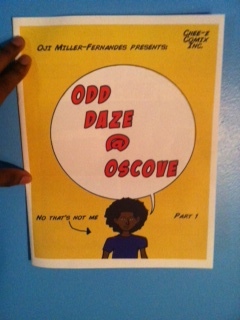 Also subscribe to this blog & in the near future you will possibly see the full version to my comic book! im so turnt up because i made this. This is a great start in a good direction!